This twin bed showcases transitional style with a clean, square headboard accented with button tufting. The low profile nature of the footboard and rails adds a casual element to the bed, making it an easy addition to any bedroom. 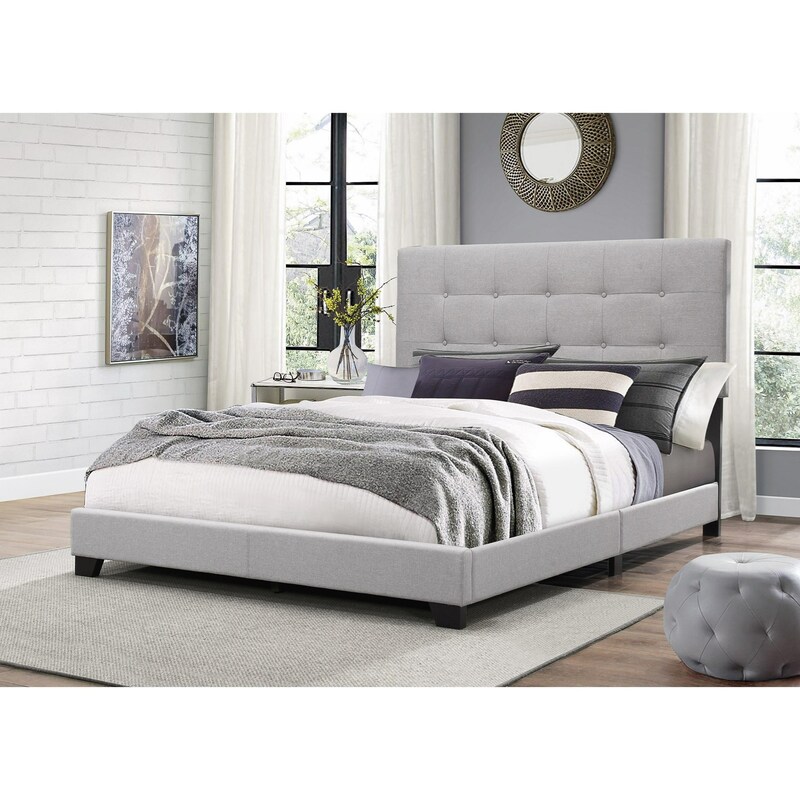 The Florence Twin Upholstered Bed with Button Tufting by Crown Mark at Rooms for Less in the Columbus, Reynoldsburg, Upper Arlington, Westerville Ohio area. Product availability may vary. Contact us for the most current availability on this product. Browse other items in the Florence collection from Rooms for Less in the Columbus, Reynoldsburg, Upper Arlington, Westerville Ohio area.